8 Oz. 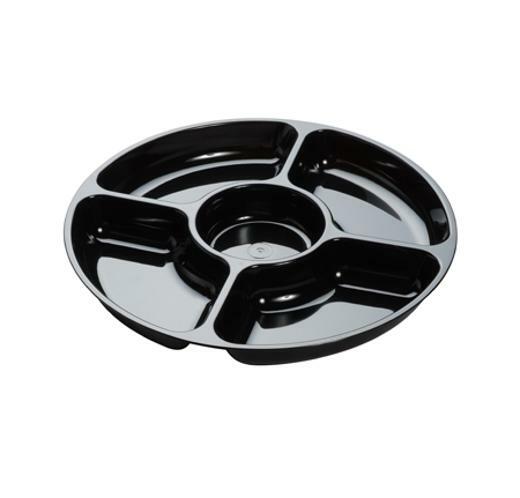 Black Wavy Bowls - 4 Ct.
We put the pro into proficient to ensure your serving is efficient. From picnic to party, from preparation to presentation, every occasion deserves to be a celebration! These trays set the standard for heavyweight dishes in quality construction and definitive design. We transform every meal into an occasion by ensuring all the convenience of plastic along with the sophistication of china. 1 12" 5 Compartment Black Plastic Tray.